ONE Super Series will welcome yet another Muay Thai World Champion to its growing ranks at ONE: CONQUEST OF HEROES on 22 September. Six-time Muay Thai World Champion Yodpanomrung “The Lightning Knee” Jitmuangnon will make his debut at the event in Jakarta, where he will take on “The Funky Drummer” Fabrice Fairtex Delannon in a bantaweight Muay Thai bout. Yodpanomrung has competed in the most iconic Muay Thai venues across Asia, but the opportunity to compete on the ONE Championship stage is one the Thai star is excited to take. “ONE Championship is such a massive platform,” he says. Yodpanomrung’s journey in Muay Thai started when, as an eight year old, his father decided his son was spending too much time playing video games and he needed to start taking up a more physical activity. His father took him to a local Muay Thai gym where, after a month’s training, Yodpanomrung started to show glimpses of the talent that would eventually take him to six Muay Thai world titles. 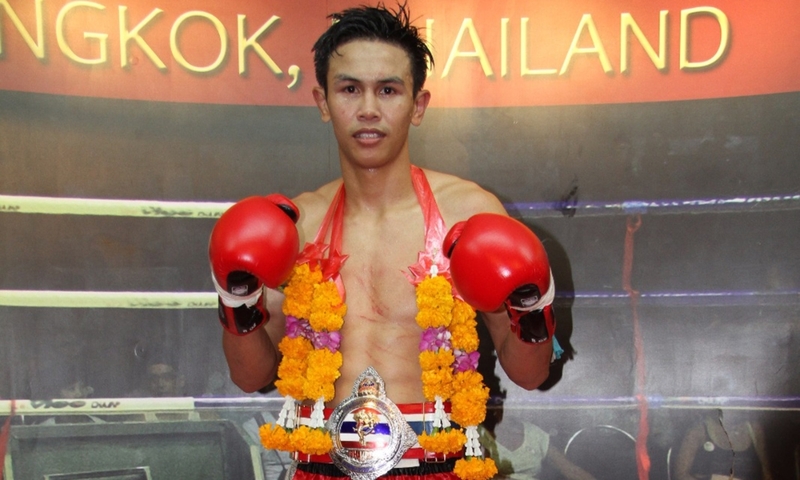 Competing under the name Yokpetch Wor and competing under the nickname “Bok”, Yodpanomrung won his first bout by knockout and travelled around central Thailand looking for bouts to build his experience, often returning home late at night before waking up for school the following morning. “It was like that for many years,” he says. He eventually joined the Sor Tawanrung gym in Bang Kapi and had his first bout in the famous Rajadamnern Stadium. During his decade-long association with the gym he competed multiple times each month and won an Omnoi Stadium title and a WMPF title. After he finished high school, Yodpanomrung’s contract was bought out by prominent gym and promoter Jitmuangnon. It propelled Yodpanomrung’s career to the next level, as his training intensified and his skills increased. Training at the team’s gym in Nonthaburi, he went on to win four more titles, including titles in two weight classes at the Channel 7 Stadium, the Thailand Title and a WMC World Title. His skills led him to be regarded as a Muay-Saen – a competitor who earns more than 100,000 baht (around USD$3,060) per bout. Now his skills will be on show for the martial arts world as he makes his ONE Championship debut in ONE Super Series, where his bout with Delannon looks set to light up the Jakarta Convention Center on 22 September. “I’m really excited for this opportunity. I will not disappoint,” he says.